Technology and mobility have influenced us a lot in our daily life, including the way we read books. Compared to traditional print books, more and more people have turned to eBook for its convenience. Amazon Kindle and Kobo are two giants in the e-market, both of which provide eBook Store as well as e-Readers. For various reasons, a great number of readers are wondering whether it’s possible to read Kindle books on Kobo or read Kobo books on Kindle. In this article, we are going to show you how to transfer Kobo books to Kindle for reading. If you’d like to read Kindle books on Kobo, please refer to How to Enjoy Kindle Books on Kobo. As we all know, Kobo books are not supported by Kindle. For one thing, though there are some DRM-free Kobo books, a great number of Kobo books we got are protected by DRM, which restricts us to read them on Kobo devices. For another, most Kobo books are in EPUB or PDF format, which obviously are not supported by Kindle, who typically accepts AZW, MOBI, PRC and etc. Therefore, if you want to transfer Kobo books to Kindle for reading, you’ll have to remove the DRM from Kobo books and convert them to a Kindle-support format – MOBI, for example. Below is a step-by-step tutorial on how to read Kobo books on Kindle. 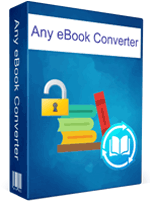 Any eBook Converter is a professional eBook tool that can remove DRM from Kobo, Adobe, Kindle & Nook eBooks and convert them to DRM-free MOBI, EPUB, PDF, AZW3, KFX or TXT format in batch. 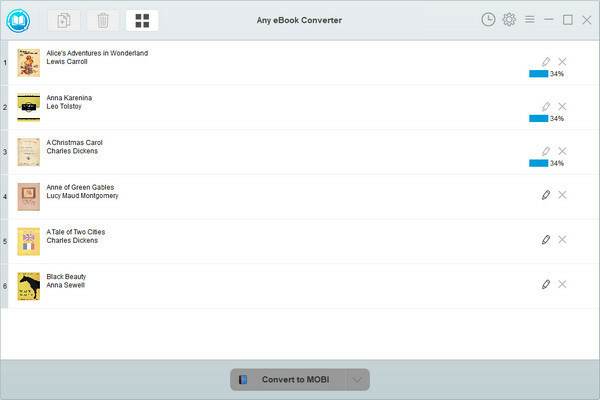 Any eBook Converter enables us to get rid of DRM in Kobo books and convert Kobo books to MOBI format within three simple steps, and below is a full demonstration of the whole process. Before we get started, please have the program well installed on your computer. Click "Add eBook" button on the upper left and there will be a pop-up window allowing you to browse and upload the Kobo books that you want to transfer to your Kindle device. Note: The DRM of your Kobo books will be removed immediately once they are added to the program successfully. Click “V” icon on the bottom and select MOBI as the output format. By clicking the “Settings” button on the upper right, you can customize the output path for the converted Kobo books. 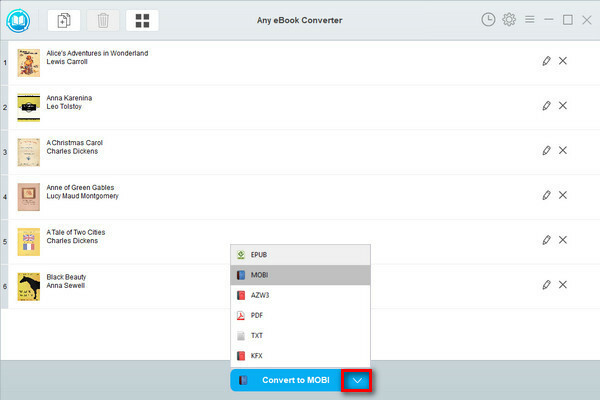 Click "Convert to MOBI" button to start converting your Kobo books to DRM-free MOBI format. Now you've got open Kobo books in MOBI format, you can easily transfer Kobo Books to Kindle. Just connect your Kindle device to your computer with a USB cable, and it will be recognized as a "Kindle" drive. 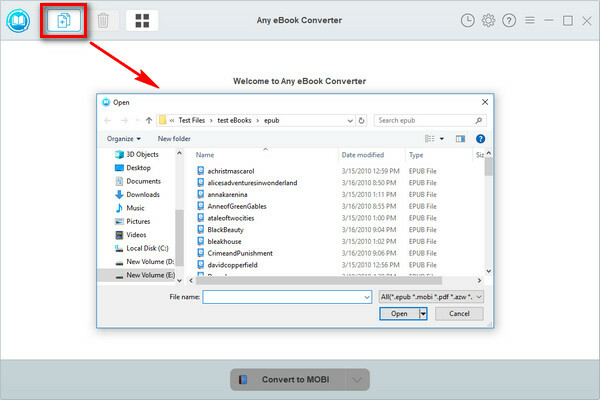 Copy and paste your converted books to the "Documents" / "Books" folder under the Kindle drive. Eject your Kindle from your computer and you can find your Kobo books displayed under "Device" / "On Device" Shelf.